Fall has finally arrived in Florida which means less rain and some slightly cooler temps. 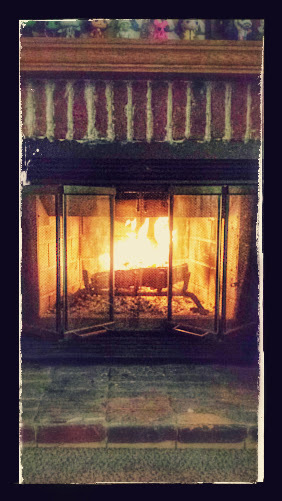 This weekend, it was cool enough to light our fire place. I just love the sound and smell of a fireplace, and it's so peaceful to watch the fire dance around. We don't get to use it very often, but I have been known, on occasion, to crank up the AC just to be able to pretend that the weather is cool enough. I love our fireplace and can't wait till it gets cool enough to start using it again!